The top attorneys with our law firm have been recognized as some of the most aggressive in Orange County. As one of the best law firms in Southern California, our award-winning lawyers provide honest and reliable criminal defense. As a highly-respected lawyer, Attorney Fakhimi frequently receives praise and positive reviews for his services. Violence related to firearms is a perennial problem for law enforcement in Southern California. The law in California determines who may own, carry, and use a firearm and what firearms are allowed. California’s concealed carry and firearms possession laws are aimed at preventing gun violence and reducing the number of victims of gun violence. If you are charged with a weapons crime in Southern California, you’ll need skilled and experienced legal help immediately. The criminal defense attorneys at Fakhimi & Associates routinely represent individuals charged with gun crimes and violations of California’s gun laws. If you face a weapons charge, the attorneys at Fakhimi & Associates will give you the straight answers and aggressive defense representation that you’ll need. Even if you have previous criminal convictions, Fakhimi & Associates will work to find a flaw in the state’s case against you and present the best possible defense. In 2013, more than three thousand people died in this state from incidents involving firearms, and more than six thousand other victims were hospitalized with non-fatal gunshot wounds. In southern California, weapons charges are typically brought against suspects when a weapon is discovered by the police during a traffic stop, an arrest, or as part of the investigation into a different crime. An Orange County weapons crimes attorney with Fakhimi & Associates can assess the details of your arrest to ensure that law enforcement officers acted legally and according to procedure. Since 2015 in this state, a person must obtain a Firearm Safety Certificate (FSC) and present the FSC – or in the case of a handgun, a current Handgun Safety Certificate (HSC) – to a licensed firearms dealer prior to purchasing or receiving a firearm. With some precise exceptions, any loan of a firearm also requires the recipient to possess a valid FSC. Concealed weapons license holders are exempted from the FSC requirement, and so are active or honorably retired law enforcement officers. Under California law, a number of dangerous people are barred from buying or owning firearms or ammunition, including domestic abusers and persons who have been involuntarily committed to a mental health facility “as a result of a mental health disorder” which makes them a danger to themselves or others. Even if a violent crime has not been committed, merely possessing a firearm illegally is a serious offense in California. And beginning this year (2016), anyone in California who believes that a close relative may commit a gun crime can petition a judge to confiscate temporarily that person’s firearms with a Gun Violence Restraining Order (GVRO). When the state (working through the local police) seizes someone’s firearms with a GVRO, a hearing must take place within 21 days. At that hearing, the petitioner must demonstrate with clear and convincing evidence that the subject of the GVRO is dangerous. If the petitioner succeeds, a GVRO will be issued for one year and may be extended yearly with additional hearings. A GVRO keeps a subject from legally buying, owning, receiving, possessing, or attempting to purchase or receive a firearm or ammunition. Specific gun laws in California are numerous and extensive. The laws of our state set a minimum age for gun ownership, specify how the background checks of gun purchasers are to be conducted, regulate dealers, gun shows, and private sales, and regulate how guns are to be concealed and carried legally. Gun dealers face an additional set of extensive laws and regulations. If you are accused of violating any gun or firearms law in California, if you have specific questions, or if you need to learn more about firearms and the law in our state, you can trust Fakhimi & Associates to provide the accurate answers and reliable legal services you need. 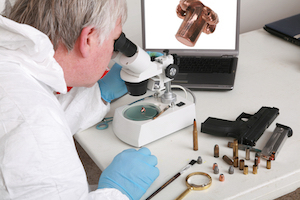 Every case that involves firearms is unique. Fakhimi and Associates never approach any two cases in the same way. 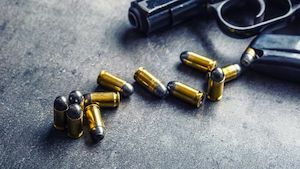 If you face any weapons charge in Riverside, Orange County, or elsewhere in Southern California, contact a weapons crimes attorney at Fakhimi and Associates without delay. We have successfully represented scores of Southern California clients charged with misdemeanor and felony weapons violations. The criminal defense attorneys at Fakhimi & Associates are ready to represent anyone charged with a weapons crime or a weapons violation and to bring your case to its best possible resolution. If you or someone you love is in legal trouble regarding a firearm – now or in the future – call us at once to schedule a free initial legal consultation. Fakhimi & Associates provides the frank advice and aggressive defense you need, and we fight relentlessly for the justice you deserve.